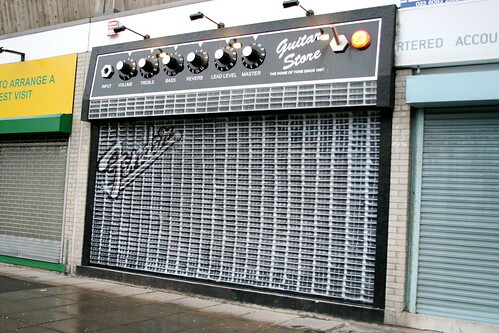 Best shop front, ever: bonus, these go to eleven. EDIT 13th February 2009: So, this picture has made it to the front page of Digg and Reddit so I thought I would add a little bit of extra information. 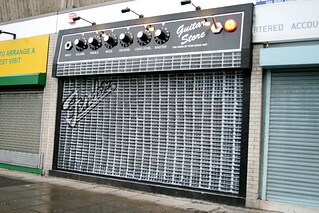 The store is called The Guitar Store and it is on Commercial Road opposite Southampton Central railway station, Southampton, England.